Herbs can be very useful in the treatment of arthritis. They have been used for centuries all over the world. I tend to use western, Indian and Chinese herbs, depending on the need of the client. Some of the feedback from clients is that they have tried herbs with limited effect. That may be because they do not take a high enough dose. 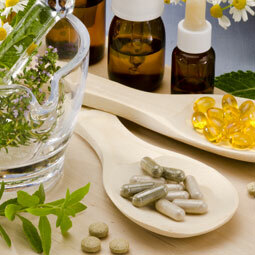 It is always worth consulting a herbalist or naturopath to make sure you are not wasting your money on herbs. The other consideration is that some herbs work better for some people than others. Trying different methods of treatment is the key to finding what works for you. Just because one lot of advise does not work does not mean you should give up. There will be a combination that works for you, just like when your GP prescribes something, you may need to go back and try something else. Turmeric has been used in India for centuries and has been researched and shown that it is effective for rheumatoid and osteoarthritis. It is the yellow pigment which has the active compound, curcumin in it. It is a fantastic anti inflammatory, without side effects. It blocks pro inflammatory prostaglandins, cox2 inhibitors. It can be taken in high doses without side effects. Turmeric is used in cooking, traditionally in curries and middle eastern cooking. A heaped teaspoon per day is good. You can take it in water, or milk, as a medicine, or opt for capsules. The capsules tend to be much more expensive, so I suggest you go to your high street Indian supplier and buy a large bag of the raw spice, as long as you can tolerate the taste as you drink it. Most of my customers say they get used to the taste. Otherwise 400mg per day of the capsules three times per day. Ginger is a herb which has been used in China and India for generations to reduce inflammation. It again blocks the pro inflammatory prostaglandins and thromboxanes. I use this with caution due to it being a warm herb, If someone has a lot of swelling and heat, taking too much ginger can continue to heat the person, contributing or exacerbating the progression of the illness. I would then favour a cooler herb. However in colder types of arthritis I would favour this herb, using it in food is a lovely way to use this spice. Stir fries twice a week is often what I may recommend, along with fresh ginger tea and juicing ginger in a vegetable juice. Bromelain from the pineapple is another very useful herb to try, especially for rheumatoid arthritis. 300mg twice per day between meals is an appropriate amount to try. Or you can eat pineapple everyday if you wish. Even a small amount seems to help. It blocks the production of kinins, compounds which increase swelling. Also, it breaks down fibrin which forms around an area, blocking blood supply and preventing drainage of fluids to the area. Pineapple is also a very good fruit for digestion, as it has digestive enzymes with break down food in the gut. If a client has problems with digestion, I often ask then to include Bromelain in their diet.